Guest Geek: I Hope She Gets A Critical! I consider myself a geek on many levels. I’m a gamer, I love to watch old nostalgic movies, I’m a big fan of 80s and 90s cartoons and TV shows. I love board games, card games, video games… if it has the word “game” in it, I have most likely dabbled in it. 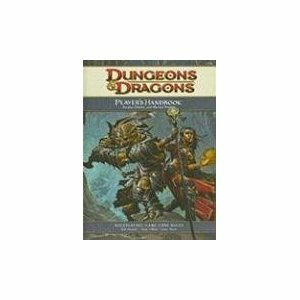 What hooks many people to “Dungeons and Dragons?” Some would say that it was the first of its kind to make it an international thing. Some would say that it takes a good look at social interactions when given a specific role in which to play. Some would say that who doesn’t like destroying monsters, delving into dank caverns, and performing increasingly dangerous and stupid actions for the promise of experience, gold, treasures, and fame. All of these reasons are good valid reasons, but just like some hastily thrown together romantic comedy featuring geeks… the reason I got into “Dungeons and Dragons” was a girl. I had always been curious about the game, but I had never had the chance to play it with anyone. This was mostly due to the fact that my mother thought, like many did, that “D&D” was all about Satanic rituals, and that it indoctrinated children into little cultist hooligans. So it wasn’t until high school that I actually got a chance to play. I still remember my first character that Megan helped me with: A level 18 paladin upstart known as Kain Lightvalour. She helped me understand the character, told me what he could and could not do, and explained to me the significance of dice rolling. Once my character was made up, our DM instantly threw me into a combat situation with a dragon (which explained the Dragons part of “D&D”). My very first roll in “D&D” was a natural 20! I didn’t realize the significance of the roll at the time, all I knew was that Kain Lightvalour was a bad mama-jamma! Over time, I had come to notice that Megan was not the only “D&D” geekess in my area. Soon others wanted to join, and when I became competent enough with the game, I offered to run my own campaign, where I had nine players, with four of them being female. (It was a good ratio; easy on the eyes as well.) The best part of it was, was that the females got more into the story than the men. (We’re neanderthals, I know… we just want to hit things.) They got far more invested on the Whos, and the Whys, and the Hows, than the men did, and as such, they were the ones carrying the storyline. They were the ones usually coming up with the answers to my diabolical puzzles and traps. My favorite class to play in “D&D” is a rogue. They’re far more versatile; they like to sneak around, and they like to skirt between ethics and morality more so than most other characters. It was my girlfriend at the time (Devon) who really told me that I should open my mind up and try something other than your standard fighter. So, after watching her play a rogue through much of my campaign, I decided that I wanted to play a rogue. I found that once I got the hang of how their mechanics were more involved, and had a lot to offer, I couldn’t think of how I ever stayed playing a fighter for so long. Really, I’m always amazed by females who play tabletop RPGs. I always learn something new, not just about the games, but about these people in general. Sure, they’re easy on the eyes a lot of the time, and it’s that ability to really get into their characters that really sort of does it for me. They have lovely personalities, and they’re living proof that gaming isn’t solely a man’s realm. While I doubt that any of my female friends will happen upon this writing; I can say without any hyperbole (or innuendo) that I would gladly love to draw swords at the hour of our next campaign, and feel honored at the same time. Tony Knight (aka Kain Lightvalour) is an avid gamer, who lives in Augusta, Georgia. He is an Army veteran having spent 7 years in the service and served two tours in Iraq between 2003-2010. He has a review site on Facebook where he talks about really anything on his mind. Thor vs. Batman – Who would win? Yes! I love this guy.